What is success???? This is the question that often arise in my mind. I believe success is not all about medals, shields etc. Success is what we see not the others. I think people always see medals, shields, income as a success but for it is not. If my family is satisfied with me then it is a success for me. If i make anybody happy, it also a success. Making people happy and helping them is a huge success whether you are not earning good, you do not have medals etc to prove your success. You are living a successful life, it is just all about perception that make us think that we are not successful. Sometimes we are achieved all the things but we are not happy, so can we say that we are successful?? 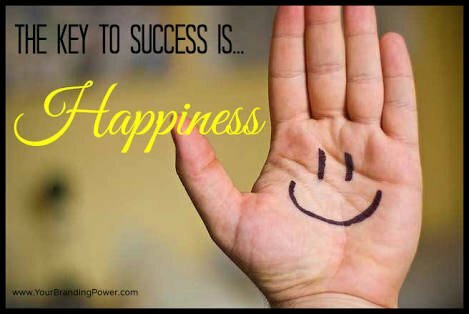 For me we are successful untill we are satisfied or happy with our life. There is a reason behind our ungratefulness that we are not educate in our early life to be happy. We are taught just how to become a very successful person. For this we worked hard to get the things which will make us wealthy. But we will not happy after achieving our goal because we are not taught to be happy at less also. We will try hard to get more and more but in all these efforts we may not enjoy the life. I think we should word work hard for the things which will bring happiness, if winning a medal makes you happy then go for it. Do not force yourself with the things which you can not do. Try to make your life easier. "success is not the key to happiness, happiness is the key to success... "
You got more than 10 replies. Your next target is to reach 50 replies.